What prompted me into possibly switching counsel was viewing the Lisa Beth Older video and learning things I didn't know. I must have slapped my forehead a dozen times as I watched and listened to this tape. She really is such a big help to people like me. First of all, just a huge Thank You for what you have done for me so far with me fighting for what's right and standing up for my kids. 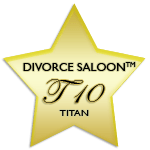 Thank you for helping me and my children get through my nasty divorce and begin a new life.. you treated me professionally and compassionately and never stopped fighting. Lisa, whenever I have a problem I still think to call you. You will always be the person I turn to in the event that my spouse tries to take my children away from me. 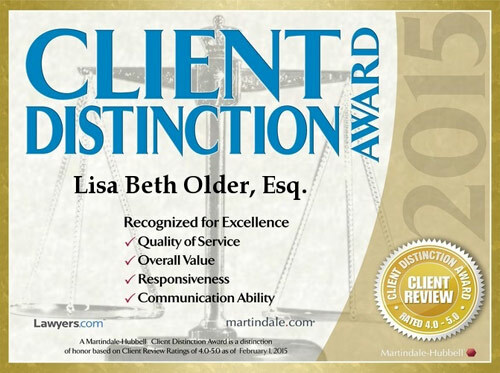 Lisa Beth Older is an outstanding fearless advocate for clients in cases that are highly conflictual or heading straight toward a trial. She is intelligent, prepared, effective and caring and has always been responsive to my needs and calls. Lisa Beth has been my lawyer through seven years of fighting my spouse from taking the children out of state. For seven years and she fought and won my cases. Lisa – she has saved my financial situation from ruin and she sensitively safeguarded my children. She is competent, affordable, efficient, attentive and kind and I would recommend her any day to anyone. Lisa, I graduated from college yesterday and I just wanted to thank you for helping my mother over ten years ago. Thanks to you my father had to pay for my tuition. I could never be where I am today without you. Wondering how to pick the right lawyer for you? This video may help.